We will arrange your hygiene units, supply the contents, stock check, order and deliver supplies as well as replenish whilst cleaning your washrooms. It is just one more thing that you don’t have to think about because we do it for you. If you require additional services for water usage reduction, deodorising or anything else washroom related, we can give you advice and arrange these additional services also. aZtec Commercial Cleaning supply Sanitary Bins, Air Fresheners, Hand Driers, Roller Towels, Paper Dispensers and Vending Machines to commercial premises such as offices, schools and warehouses. You can have peace of mind knowing that employees and visitors will always find your wash facilities clean and stocked. We will monitor stock levels and procure relevant supplies for you when required. This way you can take advantage of our buying power and get your washroom supplies at excellent prices. 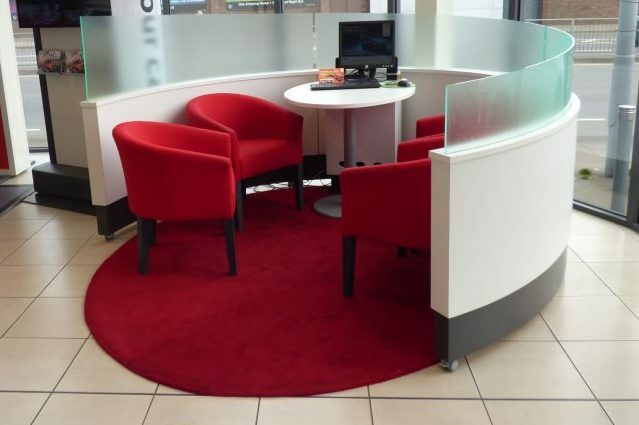 Giving the right impression by maintaining a clean environment in your washrooms is key when welcoming guests, customers and employees to your commercial premises. Dusty dispensers, limescaled taps, dirty floors and unwelcoming toilets are something that aZtec Commercial Cleaning take very seriously. Our cleaners are trained to a high standard to ensure that all areas of a washroom are routinely cleaned and issues like broken toilet seats are reported. We are your eyes on a daily basis to ensure your washrooms always look as clean and welcoming as you would expect. Should your commercial washrooms require a deep clean, we regularly carry out these for customers, especially within dirty environments or newly leased offices. We don’t have a handyman onsite, can aZtec fit paper dispensers for us? Yes, aZtec Commercial Cleaning can provide and fit toilet roll and hand towel dispensers for you. We’d like to install automatic air fresheners. Who refills and maintains these? 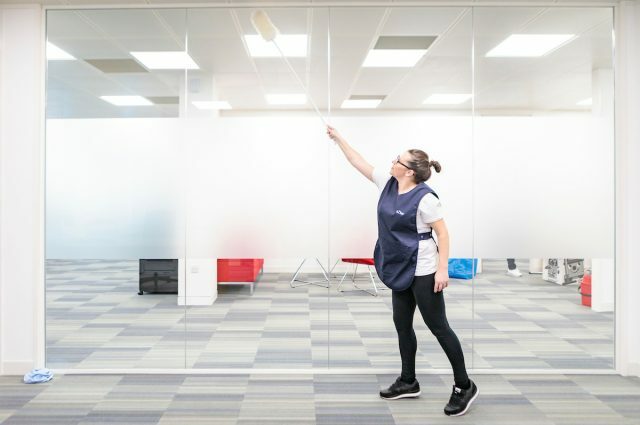 aZtec Commercial Cleaning provide a monthly service where we visit your premises to refill and maintain air fresheners in each washroom, as well as check and replace batteries. Why should we rely on aZtec to provide and replenish our washroom supplies? aZtec supply washroom supplies for example toilet paper, hand towels and soap to offices, schools, GP surgeries, car showrooms and other commercial buildings. 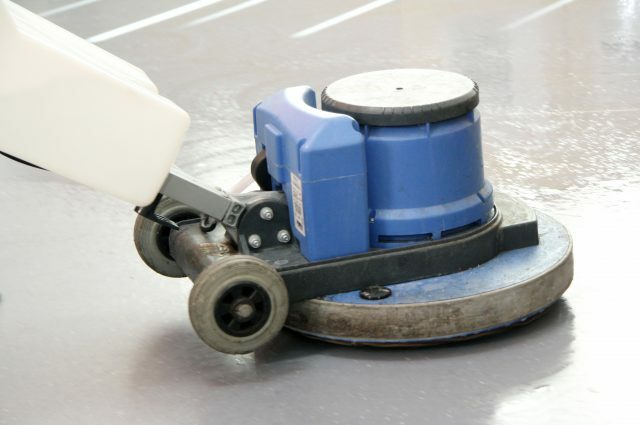 Where we already clean the premises, we can also replenish your supplies at the same time, saving you time and money. We have supervisors for each site who order stock when needed and our cleaners and supervisors monitor stock levels at all times to ensure you never end up with empty dispensers. Because we supply so much stock, you can benefit from the discounts that we pass on. Our urinals smell even after they have been cleaned. Can you help with that? 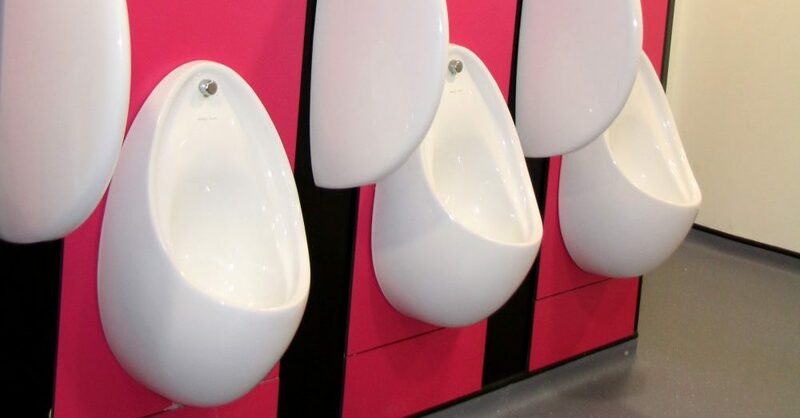 aZtec Commercial Cleaning provide a range of washroom services which help tackle every day issues like smelly urinals. It may be that you need to fit a biological block which cleans and deodorises the urinal trap. Alternatively we can provide a deep clean service which cleans the pipework internally on a regular basis. 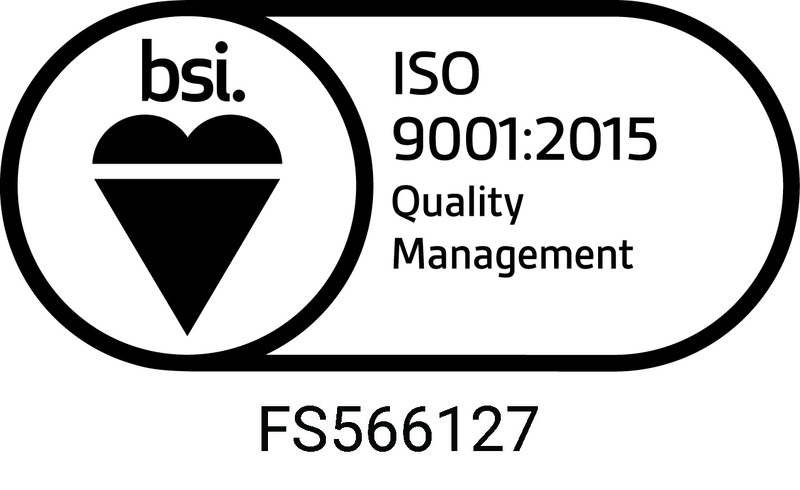 aZtec are ISO9001 certified as well as Safe Contractor approved. We are a member of The British Institute of Cleaning Science. aZtec have been providing washroom cleaning and washroom services since 1979. Our experience gives us the confidence to provide the majority of your washroom needs. Whether you require sanitary bins, toilet roll or dispensers, your dedicated Regional Manager an arrange all services for you. The will also be your ongoing contact, rather than having to deal with a faceless national company. aZtec Commercial Cleaning provide washroom services, hygiene services and washroom cleaning across 9 postcodes surrounding Milton Keynes. 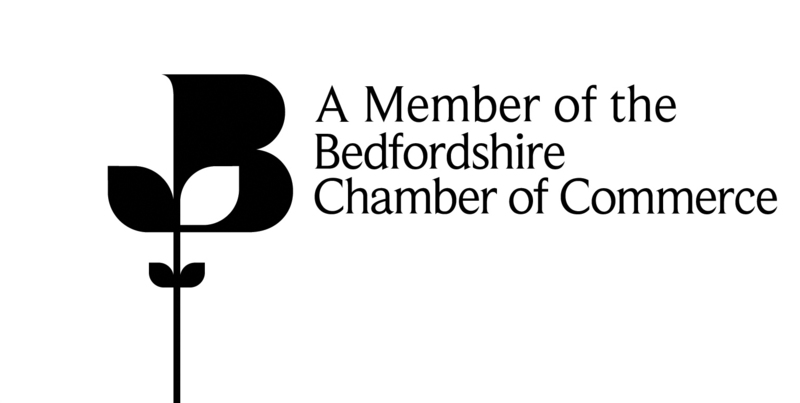 Our main office is located in Leighton Buzzard area, whilst our staff are based across all postcodes. 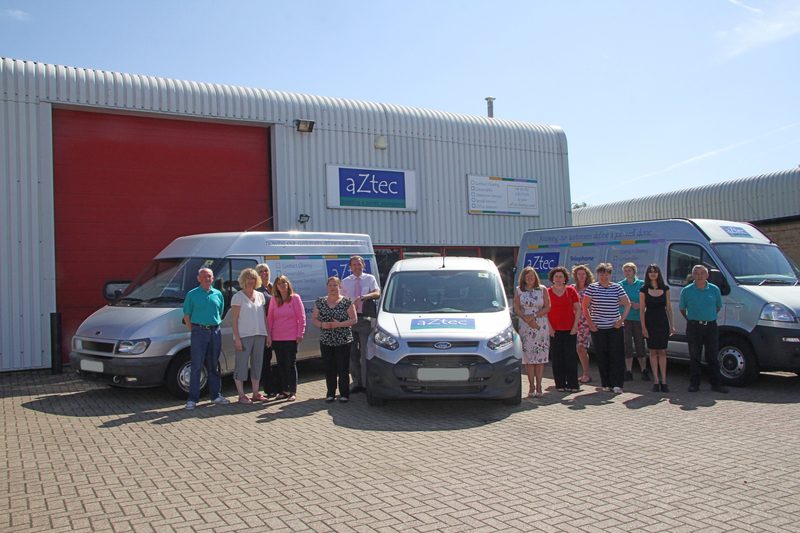 aZtec work with a group of partner companies to provide additional services. By doing so, we can focus on what we do best, whilst managing the set up and communication of other services to ensure our clients have the easiest way of dealing with multiple services. 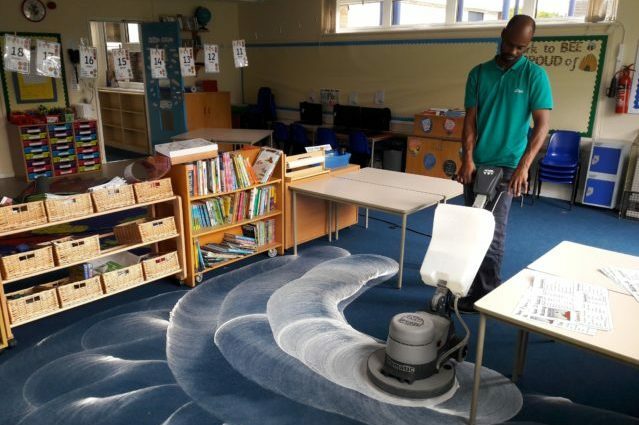 This has worked well over the years and our clients appreciate their dedicated Regional Manager who not only speaks to them about cleaning, but can handle any additional service enquiry at the same time. Additionally, by providing further washroom services, we can make billing and communication simpler for our clients. The Regional Manager is very responsive and conducts regular meetings with us. All round great service. We have used aZtec Commercial Cleaning since 2002 for cleaning and feminine hygiene units and have been very happy with the service. When asked for a change of contract, aZtec were helpful in implementing this. We receive regular site checks and client meetings. During client meetings, we are able to discuss any issues, which are always addressed.